If your little one's doll family are just finding their feet on the property ladder then the wonderful My First Dream House by Le Toy Van is a fantastic first time buy. A beautiful introductory dolls house with three floors, My First Dream House comes with a thirty piece starter furniture set, so everything you need to set up home is all included. 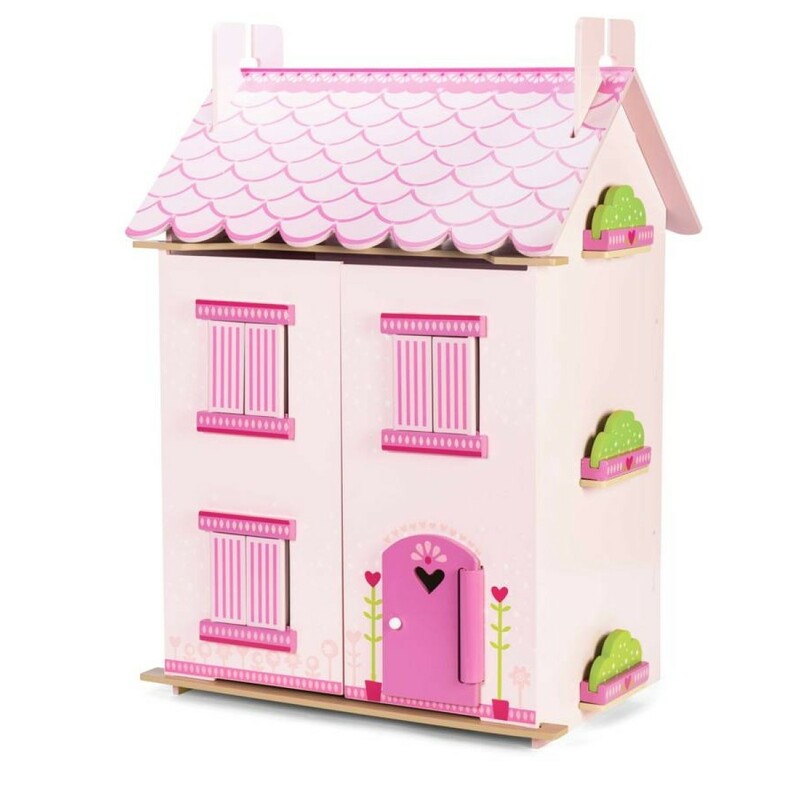 Finished in soft pink with a striking heart motif and fully opening shutters, windows and doors, this is the prefect first dolls house. This is a complete set in one box, with a beautiful dolls house and all the furniture it needs to look amazing all included (everything in the photos, apart from the doll, is included). The thirty pieces of furniture and accessories included are wonderfully detailed and quirky, all painted with fine details, including beds with real sheets and mattresses, miniature doll toys, a table setting, cupboards and even a sink and oven set for the kitchen!